It isn’t easy for a business to stick around for 45 years and remain relevant in the digital age, even if your brand is as iconic as Roots Canada – but to avoid being left behind, the Toronto-based clothing retailer is using its website redesign to meld its brick and mortar store experience with its digital marketing strategy. 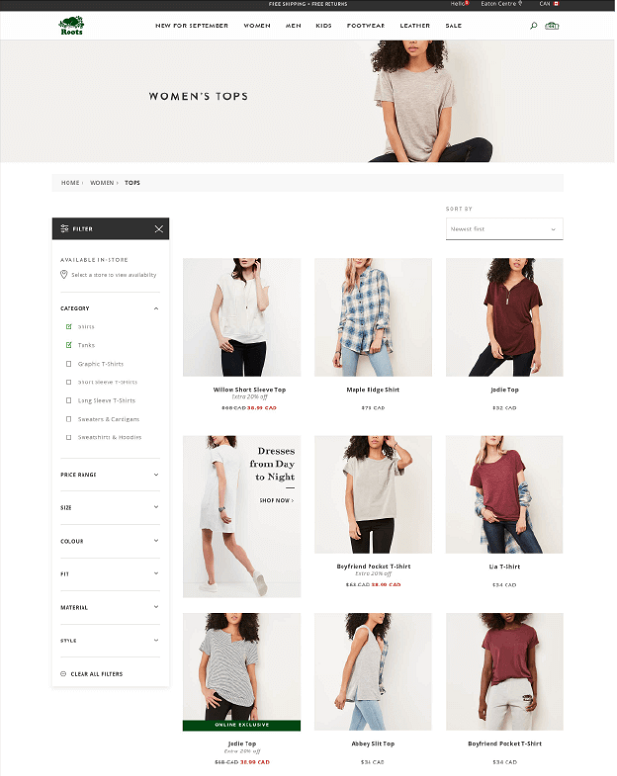 In March the retailer finished giving its site, Roots.com, a complete facelift, using artificial intelligence (AI) to create a more modern, streamlined appearance from start to finish, including the homepage, shopping cart and end pages. Roots’ biggest goal, said Jamie Garratt, CEO of Idea Rebel, the digital marketing agency that Roots hired to redesign the website, was to redesign not only the look but also the feel of the site. It was all about making a positive, user-centric experience, he told ITBusiness.ca. According to its website, Idea Rebel created “an omni-channel user flow powered by Commerce Cloud intelligence, that facilitated a 3-click journey from homepage to checkout.” The site is optimized to be mobile-first, a key strategy as statistics show that more than half – 58.9 per cent – of e-commerce is conducted through a mobile device. Roots also utilizes Salesforce.com Inc.’s AI-powered customer relationship management (CRM) platform, Einstein, to run its customer experiences on the site. To build a site based around that customer experience, Idea Rebel identified key consumers by creating personas for a variety of individuals across Canada. 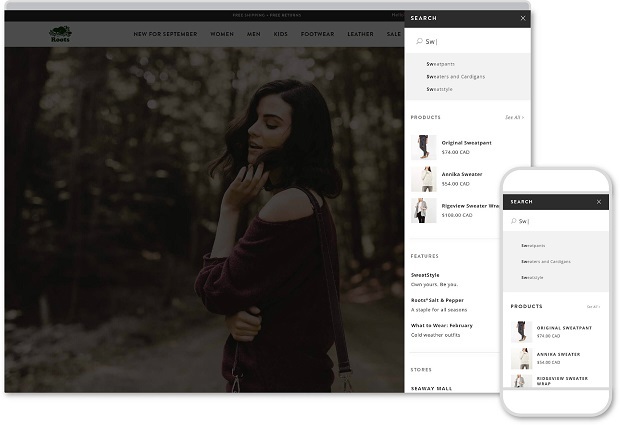 They then designed the site by combining Root’s business goals, Einstein and the personas to create a personalized shopping experience that according to Idea Rebel’s case study, can adapt content uniquely for each user, with tools like its intelligent search engine. While Garratt agrees the main objectives of Roots.com is to function as an e-commerce site and drive sales, he also said Roots (which calls itself a “lifestyle apparel” brand) markets itself as a company that tells great stories and he wanted the site to embody that. 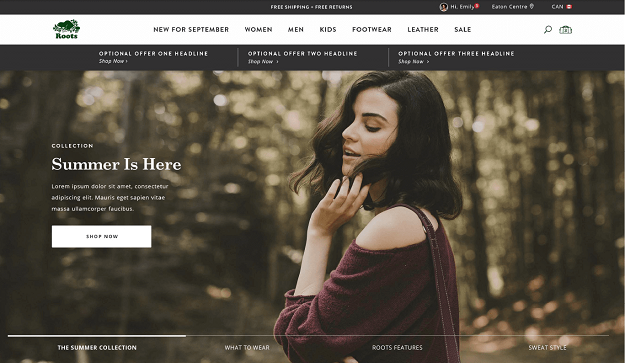 Focusing the website revamp on creating a strong user interface and experience is in step with the clothing company’s recent marketing strategies, which launched the 2018 edition of its “Sweatstyle campaign” at the beginning of August. The campaign focuses on building the Roots brand while using Canadian musicians to tell the brand’s stories. “Digital is more complex than it ever was,” said Garratt. He explained redesigning Roots.com, which was slowly released in stages between October and March, was all about connecting the physical stores and marketing strategies with the site to create a cohesive consumer experience. “We’re still working on the site, its an ongoing process. Its not just launch and leave it there, we want to better the customer experience and wanted to make sure there was deep personalization that gets deeper as we learn how customers are using the site,”said Garratt. According to Idea Rebel’s case study, the changes to the site as well as the ongoing updates are set to further engage 30 per cent of Roots customers.